Well, I've just arrived in Bangkok, and have a couple of hours to kill before Helen arrives from London. So of course I hit the bookstores in the airport. I've picked myself up a couple of 'locally'-set crime/thriller novels to read on my Bangkok/Cambodia/Vietnam travels over the next couple of weeks; BANGKOK HAUNTS by John Burdett (one of my favourite 'new to me' authors of 2010), and PHNOM PENH EXPRESS by Johan Smits - a book I came across thanks to some Internet surfing earlier in the week. The cool thing about BANGKOK HAUNTS is that it is set in both Bangkok (where I am now) and Cambodia (where I'm heading on Tuesday). Cool. Looking forward to reading them both. PS Crime Watch will become a little more irregular over the coming month, just the sporadic post now and then as I'm traversing Southeast Asia. But we'll be back bigger and better in 2011, don't you worry. I'm looking forward to your reviews Craig. Have a nice trip. I've read several of the Burdett books, but know nothing about the Johan Smits novels. Looking forward to your comments about them. There are the "Inspector Singh Investigates" books by Shamini Flint...am reading one. It's a lot of fun. Yes Kathy, Shamini Flint has written three, and a fourth (set in Cambodia) will be out in 2011. I enjoy the Inspector Singh books. 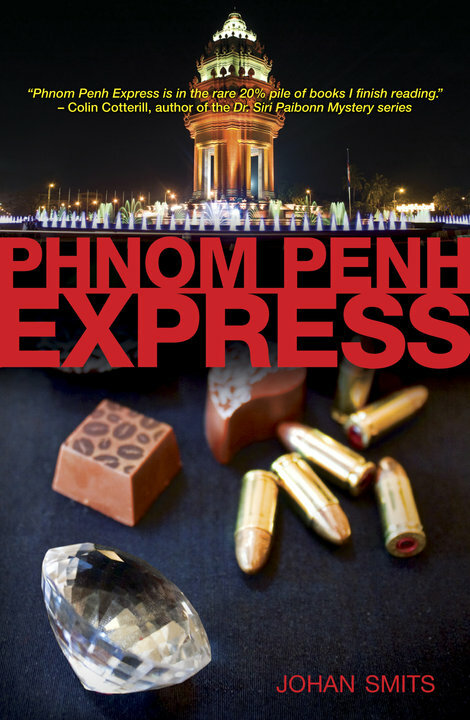 This is a bit of an old thread, but... For a good Bangkok thriller, try Timothy Hallinan's Poke Rafferty series. His "The Queen of Patpong" was very highly praised.